Bowel charts are a thing of the devil. I hate even mentioning them. In fact, I won’t; let’s talk about blood glucose diaries instead. A bunch of folk just like me, but sweeter, fill in a smattering of glucose columns whenever they can, missing a few days while getting on with their lives. They never bingo all eight sugar boxes on the one day, because they are normal, fallible human beings. They diarise to please their diabetic educator, who secretly knows that the patient eventually learns to write fiction and will merely go through the motions. Which brings us straight back to bowel charts. Examining the motions is acceptable only in very isolated social groups: mainly microbiologists or dung beetles. Even then, it’s only ever someone else’s sh**. Describing your own waste products in any more than vague terms is, as I say, diabolical. I have a middle-aged patient—let’s call her Julie: the name and gender have been changed to protect his identity. Actually, his real name is Julian. Julian is a hypochondriac with a comprehensive approach to health—all known diseases are divided into those he has had already and those still to come. Although he is essentially a good person, Julian owns a bowel chart. Unsatisfied with the date and time column, he devotes two thirds of his page to description. And, unlike my diabetics, this white space is never left unsullied. I could almost handle reading hard, soft, hard. But egg-white mucus is pushing the relationship. Perhaps I should take this seriously (I put it down to too much pavlova), but I reckon food terms should only ever describe contents upon entry, not exit. The words custard and chocolate, Julian, have no place in the faecal lexicon. Julian is an earnest, sincere man. Like many hypochondriacs, he is chronically lonely, having never married—the bowel chart wouldn’t have helped. I feel reluctant to deny him his anxiety pressure-release, yet my chart-reading role is psychological torture. An ethical dilemma. That’s when I thought of my medical student. 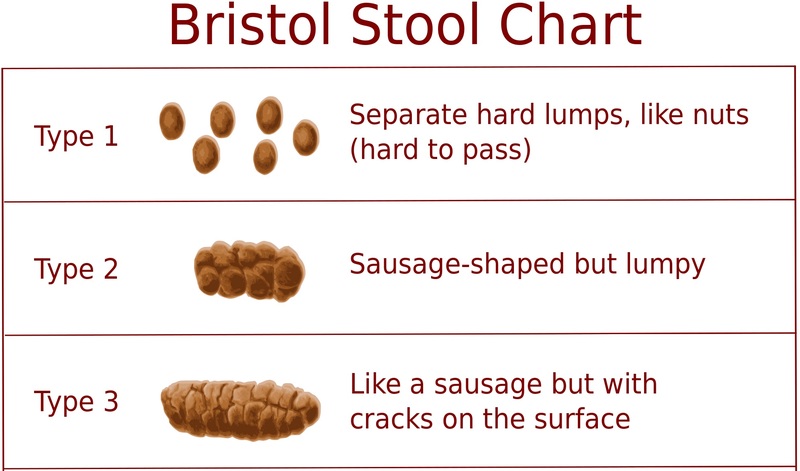 The Bristol stool chart pictorially displays a spectrum of seven stools, much like the seven wonders of the world. The pyramids are at the top (ouch), progressing to the splendid Colossus and ending with mud dripping off the Hanging Gardens of Babylon. I paced guiltily outside the room, knowing Julie didn’t require a Bristol chart to apply meaning to Julian’s excreta any more than a psychic needs tea leaves. Julian the Elder emerged first, beaming, virtually whistling the Hallelujah chorus (coincidentally, the last of Handel’s 52 movements). ‘Normal,’ she snapped quickly. We never spoke of it again. This post was inspired by a colourful discussion on the GPs Down Under Facebook page. The characters in it are all generalised except Bristol. Go there at your own risk. This entry was posted in Uncategorized and tagged bowels, Flippant, GP, humour, medical student. Bookmark the permalink. Oh Justin, I feared there would come a day we didn’t see eye to eye on an issue… and today is that day. I never picked you as the squeamish type, or one to look a gift horse (or in this case, a gift chart) in the mouth (or, in this case, a different orifice). The hypochondriac Julie/Julian’s of this world need something to obsess about and I’ve found that BSL, BP and bowel charts provide handy distractors. I would much rather be presented with a monthly chart of bowel motions to discuss than to deal with more nebulous tickets of entry such as vague dizziness or intermittent numbness. 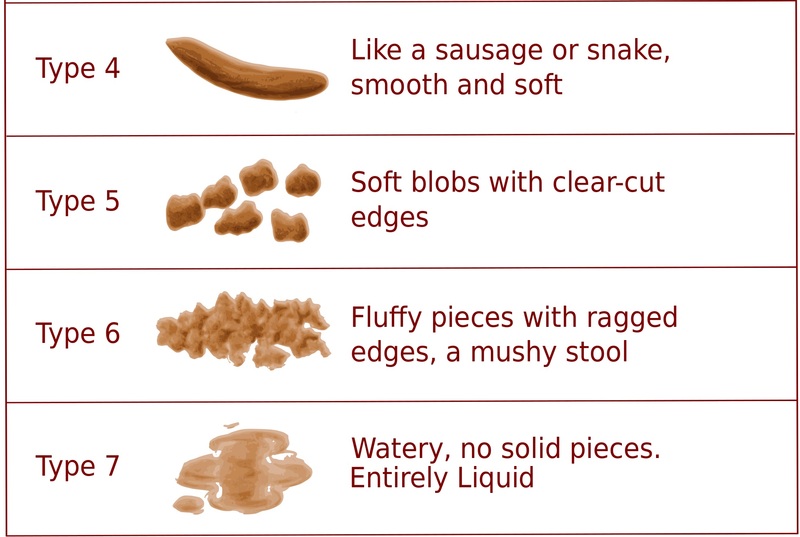 All very gross, yes, but the beauty for the GP is that once your bowel-obsessed patient has become introduced to the chart, you are far less likely to get evocative descriptions at appointments. Instead, you’ll get more palatable reports, such as “I’ve definitely improved since I started the All Bran Challenge 26 days ago. Mostly “3’s” and even two “4’s”, together with immense gratitude for the provision of the Bristol Stool form guide. They love it! A sure-fire way of dealing with the problem, in the absence of an eager med student. And talking about bowels and bowel charts can be amusing. You haven’t lived until you’ve had a patient with delusional parasitosis with a positive matchbox sign. Nearly spat my mouthful of tea all over the computer screen!! love your work!